$9.99! I would say that was pretty good...and can be used inside or out...and dressed up for any season! 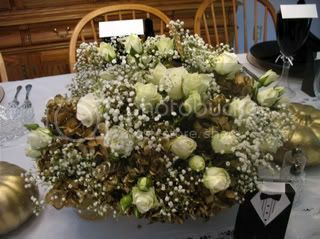 I had mentioned the sprayed hydrangea...These I have sprayed black, for Halloween centerpieces. They need one more coat. 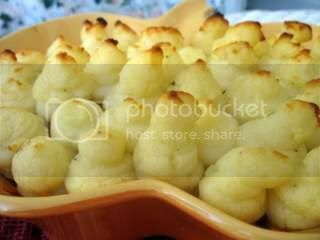 I will use these in a later Tablescape post..
Use your favorite recipe for Shepherds or Cottage Pie. ( apparently if you use beef you can't call it Shepherd's...only lamb. I didn't know it was an issue till I read a thread on cooks.com. I use beef and the last layer before the potatoes is cheddar cheese...I don't think that is a bad thing..but this guy did!! Use your pastry bag without a tip to pipe on the ghosts.. Pull up and slant the top as you are piping. 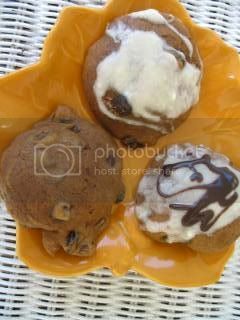 For dessert, pumpkin cookies, some with raisins, some without for Jayne, and some with raisins and chips. Thanks, Jen and Tam for hosting! Oh, Kathleen! Thank you for holding the raisins in my cookies! And I'll take Shepherd's Pie just the way you make it! Cute post! Definitely worth the click! You know I am a fan! 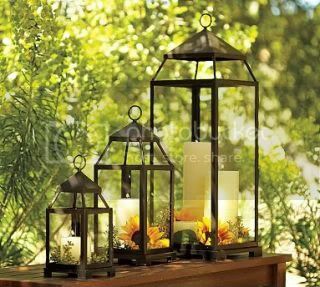 I love the bargains you found...those are beautiful lanterns. I think CT shops are only in the east right? The ghost pie is so cute. What a great idea and I bet kids would eat more just because of the look. 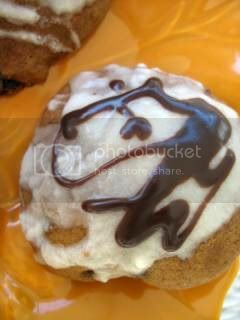 The pumpkin cookies look yum too...how thoughtful you made some for Jayne w/o raisins. What a friend! I love the new look to the blog too! LOVE the black hydrangeas! What a smart idea! GRRR..we have no Christmas Tree shops! Not a Christmas shop in sight but when I travel and see one I will be sure to stop. Love the little ghosts. I was on LI this weekend for a wedding on Saturday and ate my share of NY foods. Yummy! Ghost PIE...LOLlolloollolol! You clever girl! 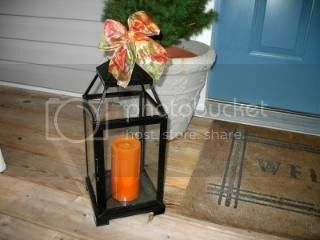 Love the lantern too..all of them! You have the best stuff! 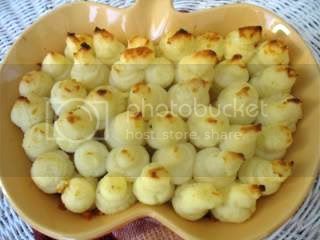 I think we can tell the foody snob that we will call it Shepherds Pie if we like. After all our shepherds might indeed use beef and cheese. Just cause his shepherds don't use beef doesn't mean we are wrong. I mean really. It is a recipe folks. Oooh I am in a testy mood aren't I? I love the look of your blog these days, Kathleen! It's BOO-ti-ful! The ghost pie looks delicious! I can't wait to see what your tablescape will be with the black hydrangeas, Kathleen. How long do I have to wait? Jayne, can I share that cookie?...I don't do raisins, either. Those candle lanterns are great, Kathleen! I like the black ones you got and what a deal! You will be able to do so many things with them. Your Ghost Pie looks delicious! Always called it Shepherd's Pie (using beef & cheese) here in Canada too! Great lanterns! I have a few myself and love them.You can decorate with them in so many ways. Spraying some hydrangea's is another great idea. Can I ask what kind of spraypaint you use?? Great idea black paint on the hydrangeas! I call it Shepherd's pie, too. I love the lanterns. We have a CT shop about an hour from here - I will have to make a trip. Your black hydrangeas are a hit, Kathleen. Very clever and perfect for the season. So is your pie. 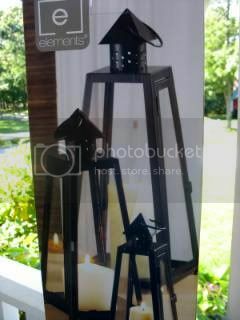 What a fabulous buy on the PB lanterns, Kathleen. 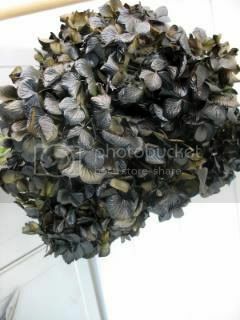 I love the eerie look of your black hydrangea ... looking forward to seeing what you do with it. Although we have a Christmas Tree Shop about 15 miles from me, I have never been there, but I'll have to go. 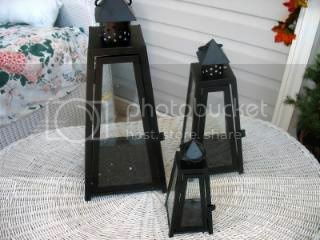 I like the lanterns and how they fit inside each other for storage. But then they will look so nice year round. I can't wait to see what you do for your Halloween centerpiece. HAve never made a Shepherds Pie with anything but beef - so I guess I've been doing it all wrong!! All the lanterns are great but the first ones are my fav! !